You come home from a long day at work and notice that your pet is acting unusual and doesn’t want to eat his dinner. Or, after a vigorous game of chase with the dogs at the dog park, your Fido comes back limping and wincing when you try to touch him. Or, you wake up to hear your cat retching in the hall, after vomiting throughout the night. These situations are not so uncommon for our animal friends, and you have likely had a scare or two before. For most, the typical response is to run to the phone or computer and look up the symptoms on Google. Unfortunately, without an accurate veterinary diagnosis, you’re probably going to get a long list of cure-alls from turmeric to lemon juice and a plethora of possible (and impossible) causes. There are very clear indicators of true pet emergency – one that you must absolutely attend to right away. Here is a list of medical emergencies that come through our door. There are other signs that a pet owner should be alert to, like general lethargy or personality changes. While these may not be immediate threats to your pet’s health, they should be followed up on, since subtle changes can precede a more serious problem. The best approach, when you get that sense that something is off with your pet, is to have them examined. Poisoning. When a pet ingests something you suspect is toxic, what can you do? The first order of business is to determine what the substance is and how much your pet ingested, while at the same time seeking veterinary care. Your veterinarian will want to know the basics in order to be prepared for treatment upon arrival. If you have a package or estimate of how much your pet ate, it is extremely helpful. The Pet Poison Helpline and ASPCA’s Animal Poison Control can be great resources to review for all pet owners, as these give you detail about all of the substances, plants, food, and otherwise, that can poison a pet. Pancreatitis. This dangerous inflammation of the pancreas is another reason why pets come to the ER. That’s especially true around the holidays when the family dog is treated to rich, fatty table foods. Symptoms of pancreatitis include loss of appetite, vomiting, and abdominal pain. Acute trauma. Accidents involving a vehicle or an incident with another animal can be two of the more frightening emergencies. Getting your pet to safety (i.e. out of traffic, or away from an attack) is the first critical step (ensuring your own safety in the process). Then, stabilize your pet with towels, a box, or other item while transporting them to the closest emergency hospital. Most hospitals will offer instructions on stabilization while you are en route. Choking or respiratory distress. Pets, particularly dogs, are curious about everything, and use their mouths to explore items from small to large. Choking on toys, balls, and other things can be an immediate emergency. If the item in question can be seen and easily dislodged, do so. If your pet is having trouble breathing, get them to a hospital right away. Even if your pet isn’t in immediate danger of choking, a swallowed item can lodge in the digestive system and cause severe problems. Bloat. Bloat, also known as gastric dilatation and volvulus, occurs when the accumulation of gas causes the stomach to rotate or twist, putting pressure on the diaphragm. This results in trouble breathing. Bloat can be fatal if not treated immediately. Other emergencies we’ve addressed in previous blogs are cancer emergencies, seizures, and kidney failure (if your pet is diagnosed with kidney disease). To be better prepared for any emergency, we recommend discussing with your veterinarian your pet’s health and if there are concerns about a disease, illness, or issue associated with their breed that might put them at risk for an emergency. Once you arrive at an emergency hospital, there are a few things most hospitals do upon arrival in order to efficiently get your pet help. We assess the urgency of the pet emergency using a triage system. Triage, the steps taken to stabilize the medical emergency, means that we start treatment based on levels of care. If the emergency is deemed critical, it is the most immediate level, meaning that it’s a dire situation, such as your pet isn’t breathing. A second priority level of triage might include trauma, such as a broken bone or vomiting. A stable pet will be one who needs to be treated but is not in any immediate danger. The goal of triage is to get the patient stable enough to start more intensive diagnostic testing and examination. While in the hospital, you can expect the veterinarian to run certain types of tests such as blood work, X-ray, ultrasound, and other forms of imaging. During this time, the veterinary team will include you in your pet’s care and update you on recommendations for further testing and possible treatment. A well-executed triage means that your pet is evaluated and moved to the correct level of urgency as seamlessly and quickly as possible. 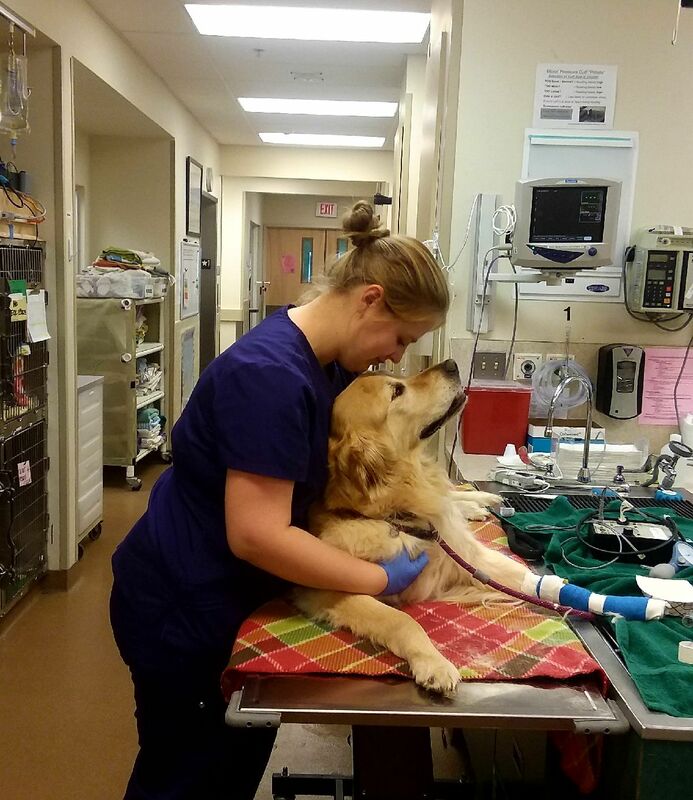 A veterinary critical care unit is one that treats critical, life-threatening emergencies. These units will have specialized technologies and equipment, much like a human ICU, where the veterinarian can closely monitor your pet. 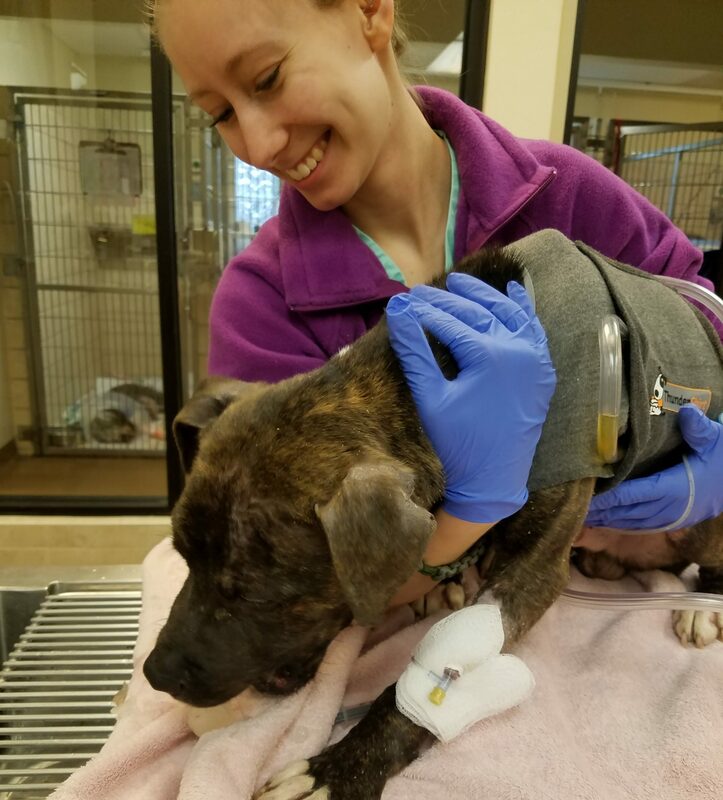 Sometimes, too, a pet will be moved to ICU when they are facing an illness that is highly contagious, and they must be quarantined for everyone’s safety. It’s probable that you have a First Aid kit in your home, and perhaps in your car. These kits can be helpful when managing a medical emergency or natural disaster before help is available. A Pet First Aid kit is something we highly recommend. It contains items that you probably have in your medicine cabinet, along with some pet-specific needs. First Aid kits come in especially handy when you aren’t in proximity to a veterinary clinic, such as when out camping, traveling, or during an evacuation. Before using First Aid, it is important to have a basic understanding of Pet First Aid and CPR. The American Red Cross offers tutorials and in-person classes on pet medical emergencies. They also offer a convenient Pet First Aid app that is free and available to download to your phone or device. While there is no magic wand to rid your pet of all potential emergencies in their life, emergency preparedness is key to quick response. The first order of business is to have a pet emergency plan. This includes numbers of vet hospitals and clinics in the area, your pet’s First Aid Kit, and an understanding of basic Pet First Aid (or a quick reference app or guide). Collect all of your pet’s emergency needs in a convenient area of the home. Keep your pet on all required vaccines and those recommended by your vet. Keep your pet on flea-tick and heartworm preventatives. Pet parasite prevention is a year-round necessity. When the temperature is over 65 degrees, do not leave your dog in a vehicle. Ever. The inside of the car will reach much higher temperatures rapidly, even when it is cool outside. Limit or avoid human foods, especially rich, fatty foods, which can cause stomach upset and even pancreatitis. Get to know common toxic plants and avoid planting them in the yard or bringing them indoors. If your pet wanders outside, be aware of what is in neighboring yards as well. Treat your pet as you would a toddler, and do a sweep of all potentially dangerous items, such as medications and house cleaners, and stow them away. Indoor cats live longer and are at much less risk of trauma and disease than their outdoor counterparts. Keep your dog on a leash while walking, and ensure adequate training and socialization. Emergencies happen, even if we are prepared. Should your pet have an accident or sudden medical emergency, please phone us or your regular emergency hospital immediately. Time is of essence in a critical situation. By being prepared, seeking help quickly, and following through on treatment needs, we are sure that your pet will come through an emergency with flying colors. For the sake of your furry friend, be aware and prepare! Previous: Dog Blood Donors: Save a Life with Buddies for Life!